We create Professional, Engaging & Effective Videos using images, text & videos inside video. Business in nearly every field today depends on high quality videos for marketing, training and sales. 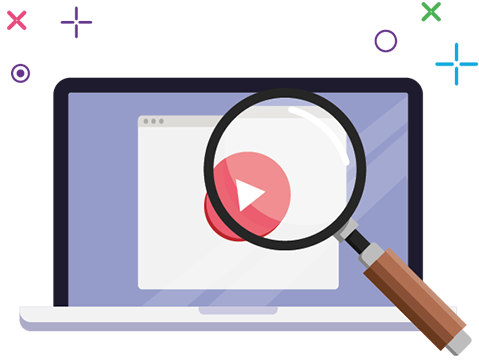 It should not be just an ordinary video rather it should be high quality, well edited and perfectly explainer video that is dedicated to the message that you want to convey. We at Transess Technologies have created numerous explainer videos for both small and large organization clients. You can easily trust in our commitment to deliver quality work that understands your requirement, and will create the superb video that matches your vision. Our process involves the following steps in video creation. Scripting: our process starts with research and then we take it to the level where we develop a script for it. Meanwhile we will also discuss with you about your ultimate goals. Then may an analysis on how and what information should be included in the most effective way. Storyboarding: once the script is ready we’ll create the storyboard that outline the animation or whiteboard design. Each part will have detailed description of the action and movements. It will also be conveyed to you the latest development so that you are sure that it is like what you envisioned. Voice over: we employ hilly skilled voice over artists to record the content, we can also ive that chance to someone whom you recommend for the job. That artist will narrate the script and prepare it for editing. Creation: now is the time for our creative team to work over it. We have resources that have specialized experience in creating the video and tutorial. Then the video is edited exactly as discussed with you during the story boarding process. Completion: finally we will show the video to you for your views and approval. Make the final changes that you want and finalize the video. Our aim is your satisfaction; hence through the process we keep you well informed and discuss any new ideas which need incorporation into the video. This is all to make sure that the product is what you have in your mind.